Most of my work week was spent on the university website I mentioned last time. I’m learning my way around a new content management system and starting to build the pages for the new site. I find this sort of thing fun, but maybe that’s just me. It’s quite satisfying finding your way round a new interface – I wonder what this does? How do you make this happen? Is this a bug or is it just me? Ah, that’s how it works! – and familiarising yourself by just getting on with it. Thursday was World Poetry Day (not to be confused with National Poetry Day, which is in October). 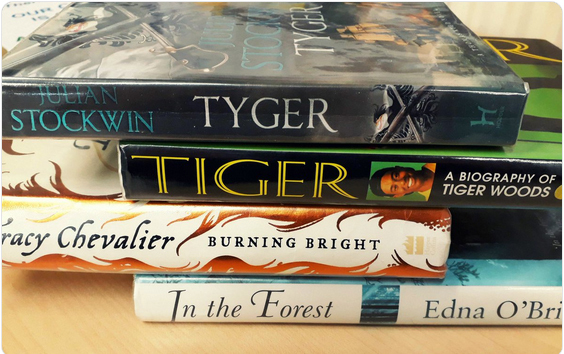 Orkney Library, one of my favourite Twitter accounts, tweeted the piece of ‘book spine poetry’ illustrated at the top of this post. Poetry reaffirms our common humanity, says UNESCO, which was a timely reminder given the discussions around Brexit this week. Many of my friends were spending the day watching the digit counter climbing on the UK government petitions website. Which consequently kept crashing. 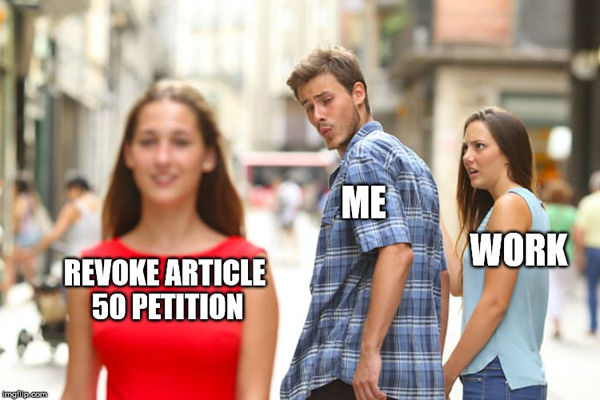 Fortunately, new ways of getting information on the progress of the ‘Revoke Article 50’ petition soon appeared: a Twitter bot, a livestream (now ended), and a UK Parliament Petitions Monitor. Don’t you just love the internet community? And talking of which, if you haven’t yet watched BBC Four’s Going Viral: The Art of the Meme, do yourself a favour: it’s on iPlayer now.